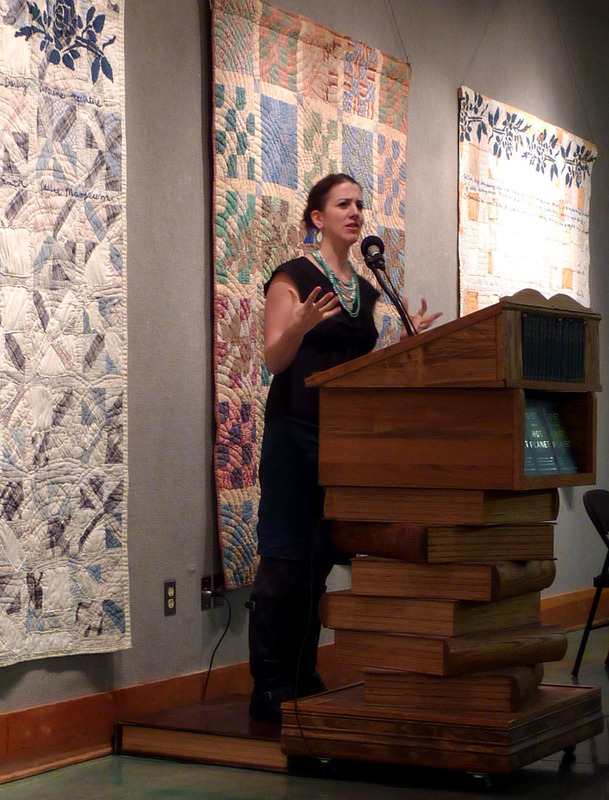 Anna Lappé spoke at Powell’s last night about her latest book Diet for a Hot Planet. I haven’t read the book yet. I decided to start back at the beginning and read Diet for a Small Planet and then move on to Hope’s Edge. I did read Grub when it came out. I was thrilled to be introduced to Anna’s coauthor Bryant Terry. I love his Vegan Soul Kitchen cookbook. I will be raving about his Chilled Heirloom Tomato Soup when our tomatoes ripen this summer! I especially liked the section in Grub on acquisitions and mergers in the organic industry. It was really useful to see how some of the companies I support, when I thought I was supporting “the little guy”, had actually been acquired by much larger, and often not-so-organic, corporations. If the options are equally delicious, I will always try to support the smaller company. Diet for a Hot Planet has a similar section called Spin. Anna goes offers more current examples of the greenwashing of the organic industry. McDonalds has actually released an Endangered Species Happy Meal in Europe as part of their green platform. Anna spent a lot of time speaking of hope. The subtitle for her book is; The Climate Crisis At The End Of Your Fork And What You Can Do About It. Halting the current climate change crisis depends on everyday choices of everyday people. We have participated in CSA programs in the past, but this year we decided to grow as much of our own perishable food as possible. Our vegetables will travel zero miles to get from garden to plate. This type of commitment to decreasing the carbon footprint of our daily food is happening all over the world. What is at the end of your fork? Earth Day is this Thursday. There are lots of events planned all over the country. In addition to more interactive activities, I would like to propose that you spend a few hours in front of the TV (who would have thought???). There a three great programs on PBS this week in celebration of Earth Day. Check your local station or PBS for times in your area. In Portland, the movie Earth Days will be on American Experience tonight. On Wednesday, Food, Inc. will be P.O.V and Dirt will be on Independent Lens. This entry was posted in Environment, Environmental Health, Food, Food Security, Learn, Local, Precautionary Principle, Read, Sustainability, Toxins, Watch. Bookmark the permalink. This entry was posted in Environment, Environmental Health, Food, Food Security, Learn, Local, Precautionary Principle, Read, Sustainability, Toxins, Uncategorized, Watch. Bookmark the permalink.